Tap symbols for info. Tap for Full-Screen. This map shows accommodation for Alpe d'Huez. To locate Hotels and Chalets elsewhere, tap a marker or select a link from the menu to switch maps. Dozens of Hotels, Apartments, Chalets and Residences. This hotel is located at L’Alpe d’Huez and has direct access to the ski slopes of the Pic Blanc mountain. It offers an indoor pool, hamman and sauna. Guests can relax in the Nuxe Spa with its 4 treatment rooms. 1.3 km from L'Alpe d'Huez Ski School, Hôtel Daria-I Nor is set in L'Alpe-d'Huez and features rooms with free WiFi. Popular points of interest nearby include Bergers Ski Lift, Romains Ski Lift and Rif Nel Express. With ski-to-door access and a fitness centre, Chalet des Neiges - Daria I Nor features accommodation with free WiFi. Each unit features a balcony with mountain views, a fully equipped kitchen and a private bathroom with bath or shower. Odalys Chalet Melusine offers pet-friendly accommodation in L'Alpe-d'Huez, a few steps from L'Alpe d'Huez Ski School. Offering free private parking, the chalet is 2.6 km from Villard Reculas Ski School. Free WiFi is available throughout the property. Set in the Alpe d'Huez ski resort, Le Pic Blanc offers accommodation with an indoor swimming pool and a Pure Altitude Spa including a hot tub, sauna and hammam, available at an extra cost. Alpe d’Huez Ski School is 300 metres away. Located in the heart of L'Alpe d'Huez, this typical Savoyard residence offers fully-equipped self-catering apartments. It features an indoor swimming pool and a spa. 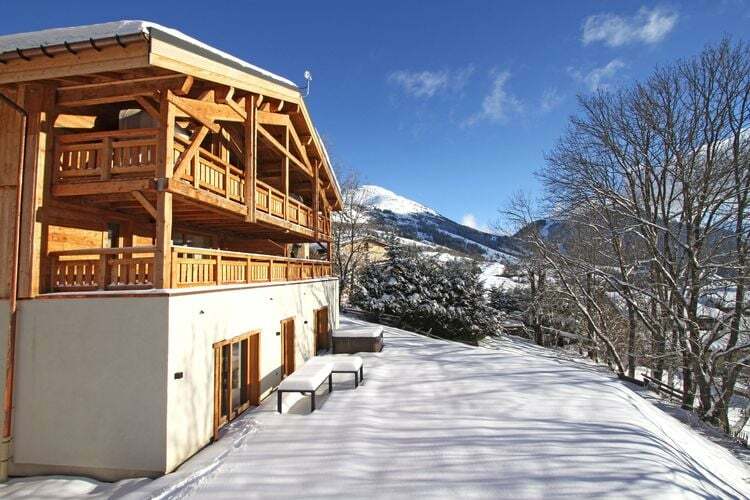 Set in the Alpe d'Huez, this residence provides an heated outdoor pool and a fitness centre. It is located 250 metres from the ski lifts and offers views of the valley. Free WiFi access is provided. Located 300 metres from ski lifts in the heart of Alpe d'Huez, Royal Ours Blanc Boutique Hôtel & Spa offers an indoor swimming pool and magnificent views. Important Information Please note that children of 13 years and older count as adults. Chalet La Chapelle in L'Alpe-d'Huez offers accommodation with free WiFi, 1.8 km from L'Alpe d'Huez Ski School. The chalet is 9 km from Villard Reculas Ski School. The chalet consists of 7 bathrooms and a living room. Located in L'Alpe-d'Huez, Hotel Les Bruyères is 1 km from L'Alpe d'Huez Ski School and provides various facilities, such as ski-to-door access, a terrace and a shared lounge. Apartment Lola offers accommodation in L'Alpe-d'Huez, 400 metres from L'Alpe d'Huez Ski School. The property is a 5-minute walk from Telecentre Ski Lift. Important Information Please inform Apartment Lola in advance of your expected arrival time. Chalet Amandine, a property with a garden and a terrace, is set in L'Alpe-d'Huez, 400 metres from L'Alpe d'Huez Ski School. This property offers access to a balcony and free WiFi. For details of Winter Sports, including Snowboarding and Skiing in Alpe d'Huez, see also :- Alpe d'Huez, Ski Chalets, Snow Forecast, Snow Report, Ski Holidays, Ski Hire, Airport Transfers, Car Hire and France. Hotels in other Ski Areas within Alpe d’Huez grand domaine Ski. Hotels in other popular Ski Areas near Alpe d'Huez. For current snow conditions, see our Alpe d'Huez Snow Report. Common questions about Alpe d'Huez. Note :- Ski Hotel deals to Alpe d'Huez are subject to change until booked. You must check any particular requirements directly with the Operator at the time of booking.